Mercury will this year celebrate 80 years of manufacturing marine propulsion systems. 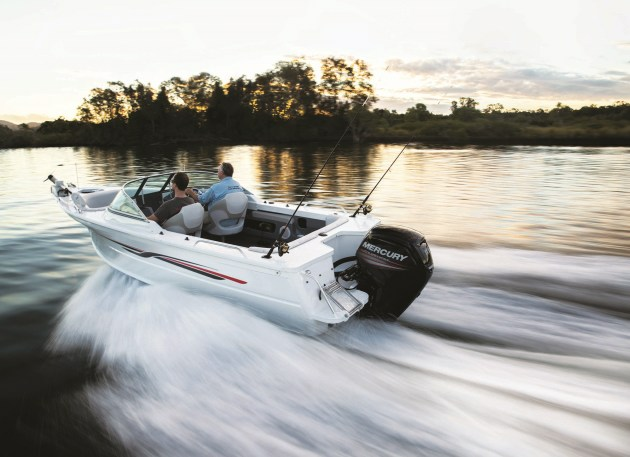 MERCURY Marine will celebrate its 80th anniversary throughout 2019 and showcase some of its strong heritage during the 2019 boat show season. On January 22, 1939, E. Carl Kiekhaefer purchased a bankrupt engine manufacturing plant in Cedarburg, Wisconsin. Now, 80 years later, the business that emerged from those modest beginnings, Mercury Marine, is a company with 7,000 global employees that is among the world’s leading manufacturer of marine propulsion systems, as well as marine parts and accessories. “80 years ago, Carl Kiekhaefer had a vision for Mercury and that was based around product innovation and technology – and it’s that vision that built the foundation for us to continue to innovate today, said John Pfeifer, Mercury Marine president. Mercury, a division of Brunswick Corporation, has invested more than $1 billion globally since 2008 into the expansion of research, development and manufacturing capabilities. In 2018, Mercury successfully launched its largest engine platform in its 80-year history with 19 new four-stroke outboard engines covering the 175-300hp range in both V6 and V8.